Pete Canter is an accomplished jazz saxophonist, a prolific and original composer of jazz and contemporary music and a double bass player. His jazz repertoire draws upon hardbop, bebop and latin jazz, and upon his own compositions which bring together elements of contemporary jazz, folk and classical music. Pete played on the 1980s London jazz scene, then in Wales during the 1990s, before moving to the Southwest in 2001. He has established himself on both the local jazz scene and further afield as a fine saxophone player, composer and band leader responsible for a string of creative jazz projects. Pete has recorded several well received jazz albums and has played at major U.K. festivals including Cheltenham and Teignmouth Jazz Festivals. His bands have supported Polar Bear and Kyle Eastwood and he has played with Iain Ballamy, Christian Brewer, Harry Beckett and many more. Pete hosts the Bridge Jazz Club, a popular monthly jazz night at Exeter Phoenix which has been running successfully for eight years. Since January 2019 he has also been hosting Red Pendulum Jazz, a new jazz night at Exeter Phoenix at which Pete plays double bass. Pete is a Member of the Incorporated Society of Musicians and a composer member of the Performing Rights Society. 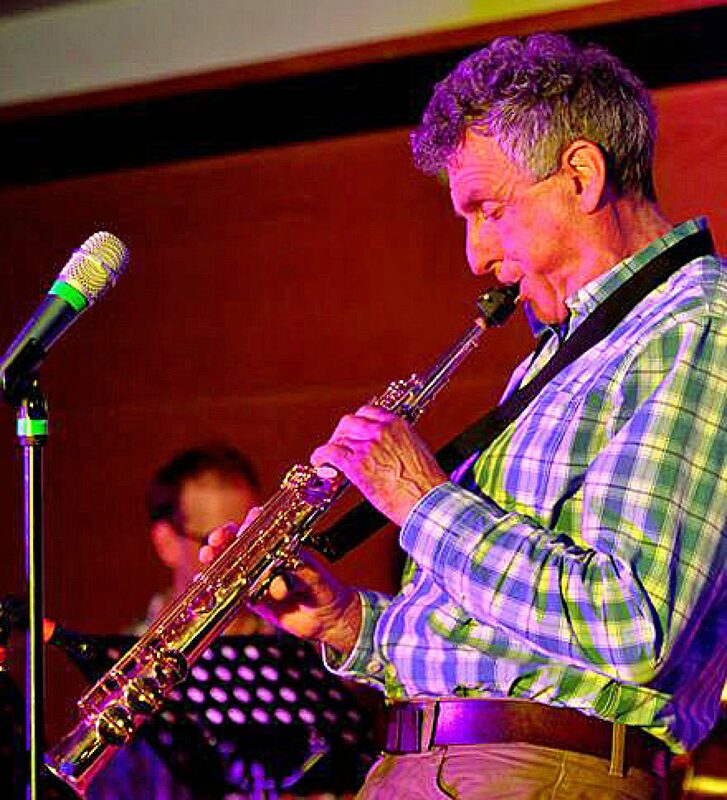 “…..an inventive soloist with a distinctive sound……” Ian Mann, The Jazzmann.